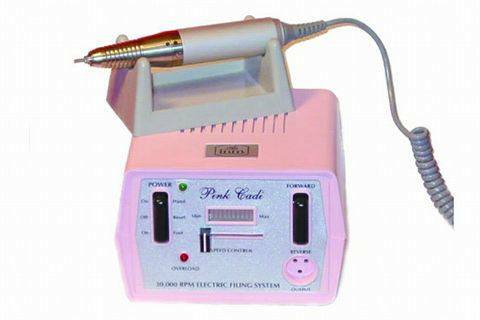 INM offers premium quality professional electric nail filing with its Pink Cadi Electric File. The ergonomically balanced, lightweight handpiece produces variable speeds up to 35,000 RPM with an ultraquiet, high-torque engine that has virtually no vibration. The fully equipped control box features a selector switch for forward and reverse, and a sliding hand control selector with illuminated speed indicator. For more information, visit International Nail Manufacturers (INM).